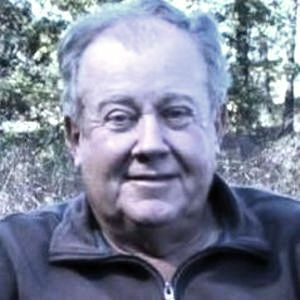 Hubert Gatlin "Junebug" Courtney, Jr.
GREENVILLE - Hubert Gatlin "Junebug" Courtney, Jr., 74, of Greenville, died Tuesday, August 29, 2017, in Lewisburg. Mr. Courtney was born August 14, 1943, in Guthrie. He was owner of Hubert Courtney Jr. Logging, was a member of Oak Grove Missionary Baptist Church, and served in the National Guard. He loved his family, especially his wife of 50 years, Linda, and his children and grandchildren. He loved logging, which was both a profession and a hobby. He was preceded in death by his parents, Hubert and Mildred Courtney. He is survived by his wife, Linda Courtney; sons Troy (Tammy) Courtney of Paducah, Ricky (Sherry) Courtney of Winchester, TN, and Jason Courtney of Greenville; daughter Holly Barber of Central City; grandchildren Candice, Lauren, Rachael, Blair, and Chelsea; sister Betty (Jerry) Earle; and brother Charles (Lou) Courtney. Funeral services will be Saturday, September 2, 2017, at 11:00AM at Tucker Funeral Home in Central City, with Bro. Richard Allen officiating. Burial in Oak Grove Cemetery. Visitation will be Friday after 5:00PM at the funeral home. Online condolences may be made at www.tuckerfuneralhomes.com. Create An Online Memorial For Hubert Gatlin "Junebug" Courtney, Jr. The beautiful and interactive Eternal Tribute tells Hubert's life story the way it deserves to be told in words, pictures and video. I'm so sorry to hear of Junebug's passing. I've thought of Uncle Hubert's family many times in the past few years. My prayers are with the family. Troy, my thoughts have been with you and your family since we heard of the loss of your father. Words really cannot give the comfort we want for you, but please know our love and prayers are with you. Troy and Tammy. My heart is breaking for you and your family. God's blessings for you all during this time of mourning. Remember the good times and celebrate Junebug's life. Thoughts and prayers are being lifted for you and the Courtney family. So sorry for your loss. Hope comfort is found in the days ahead of all the fond memories you shared with your Dad. I send prayers for your entire family during this difficult time. May you find peace in your many wonderful memories. Jason, I am so sorry for your loss. Will be praying for you and your family .